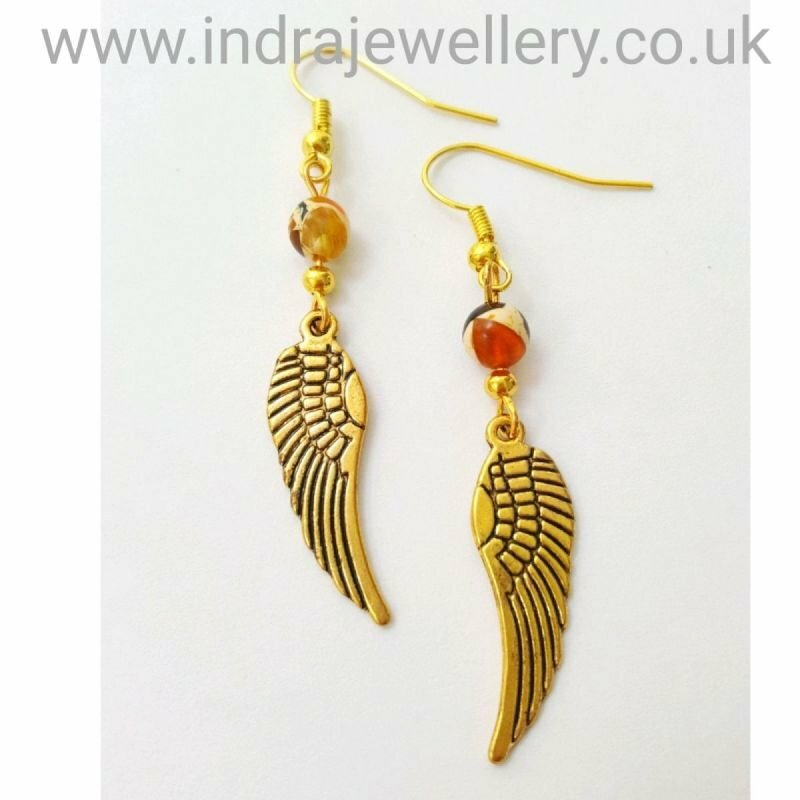 This is a stunning pair of angel wing earrings! the wings are gold toned and I have added some gorgeously unique amber mosaic beads which look different at every angle! I have attached them to gold plated hooks which compliment these earrings beautifully.